Mix the flour, sugar and salt in a bowl. Add the butter and rub together using your hands to form an even, crumbly mixture. Add the egg, mix quickly to create a soft dough – do not knead. Roll out the pastry on a lightly floured surface, place in the prepared tin, prick firmly, chill for approx. 30 mins. Approx. 20 mins. in the lower half of an oven preheated to 220°C. Remove from the oven, allow to cool slightly, remove from the tin, place on a cooling rack and allow to cool completely. Melt the chocolate and 2 tbsp of cream in a thin-sided bowl over a gently boiling bain-marie, stirring until smooth. Remove the bowl, leave the chocolate to cool. Beat the remaining cream until stiff. Carefully fold the whipped cream and reserved chocolate into the chocolate mixture using a rubber spatula. Spread the mousse over the cake base, cover and chill for approx. 1 hr. 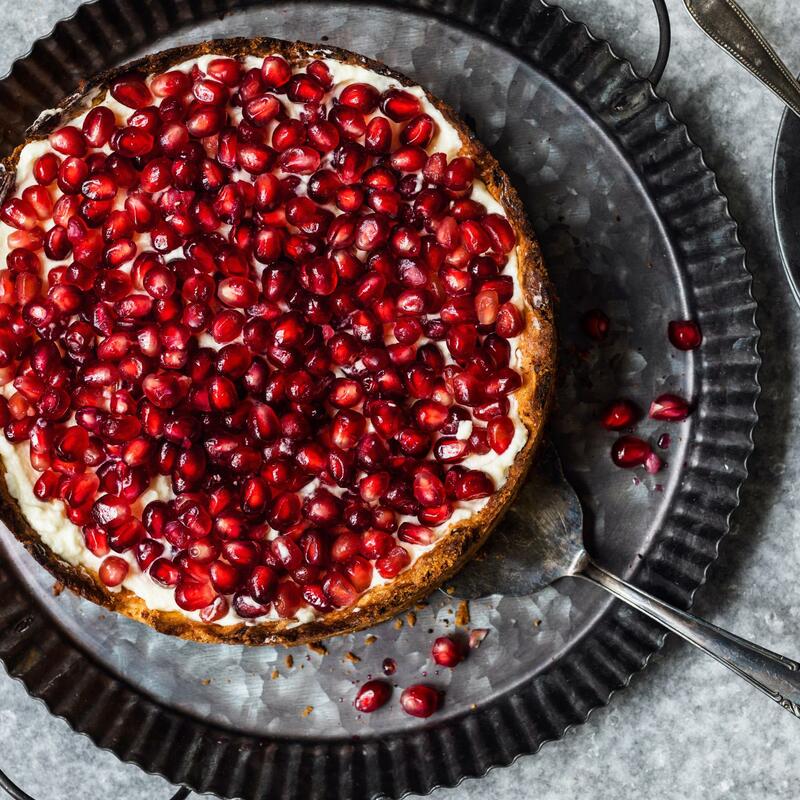 Scatter the pomegranate seeds over the tart, cover again and chill for approx. 1 hr.